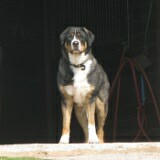 Want to adopt a Greater Swiss Mountain Dog? How do you plan to socialize the dog? How do you plan to exercise the dog? 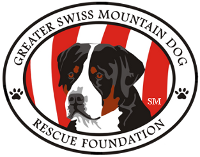 Please tell us why you are interested in adopt a Greater Swiss Mountain Dog? Examples: if you'd only exercise your dog by playing with it in the back yard, that's Very Low; walking the dog a couple times a week is Low, walking the dog every day is Medium; jogging every day with the dog is High, jogging every day and/or taking the dog to work or to kid's soccer games & hiking on the weekends would be Very High. NOTE: There is no riqht or wronq answer - Every dog has its own activity level and we want to match the dog with a family that shares the same activity level. What do you think it will cost per month to provide for your dog?